When the giant Indian technology-services firm Infosys announced last November that it would open a design and innovation hub in Providence, the company’s president said one of the key reasons he chose Rhode Island was its strong network of higher-education institutions: Brown University, the Rhode Island School of Design, and the Community College of Rhode Island. In a higher-education system that is often divided between two- and four-year colleges and further segregated between elite and nonelite institutions, it’s not often that a community college is mentioned in the same breath as an Ivy League campus. Nor is a two-year college seen as a training ground for jobs in the so-called creative economy, which include industries such as design, fashion, and computer gaming that typically require bachelor’s degrees. But the Community College of Rhode Island, New England’s largest two-year college with more than 15,000 students, is working hard to change the tired image of two-year institutions as places for high-school graduates who can’t hack it on four-year campuses or for the unemployed trying to figure out what’s next. Led by Meghan Hughes, a relatively new president with an academic background in art history, the college is overhauling its approach to workforce development by better aligning programs with the state’s economic priorities than is currently the case. “Like many colleges, we tended to be more reactive and slower to respond to training needs,” said Julian Alssid, who started last summer as vice president of workforce development. The college would typically wait for displaced workers to come to the campus to receive retraining instead of intervening before they were laid off. It had advisory groups of employers to provide guidance on certificates and degrees, but they met infrequently, so it would take months or sometimes years to tweak existing programs or start new ones. Now, the college is in the process of reorganizing its continuing-education division to build ongoing partnerships with companies to keep it current on industry trends and operate training programs responsive to and in sync with the labor market. The alliance with Infosys is a good example of this new strategy as the college works with the company to figure out how the school can help in recruiting and training 500 workers who will make a median salary of $79,000. The world of work is undergoing a massive shift. Not since the dawn of the Industrial Revolution in the 18th and 19th centuries and the Information Age that followed in the last century has the scale of disruption taking place in the workforce been so evident. An oft-cited 2013 study from the University of Oxford predicted that nearly half of American jobs—including real-estate brokers, insurance underwriters, and loan officers—were at risk of being taken over by computers within the next two decades. 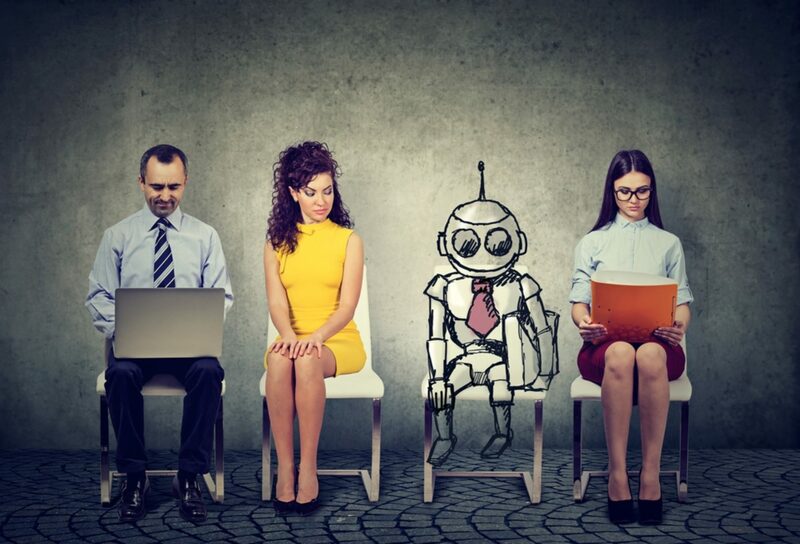 Just last fall, the McKinsey Global Institute released a report that estimated a third of American workers may have to change jobs by 2030 because of artificial intelligence. Previous shifts in how people work have typically been accompanied in the United States by an expansion in the amount of education required by employers to get a good job. In the early 1900s, the “high-school movement” turned secondary schools into a nationwide system for mass education that provided training for life instead of small-scale institutions designed to prepare a select group of students for college. In 1910, just 9 percent of American youths earned a high-school diploma; by 1935, 40 percent did. The second wave in expanding education for a changing workforce occurred in the 1960s with the “college-for-all” movement. In 1965, President Lyndon B. Johnson signed the Higher Education Act, which bolstered federal aid for higher education. Meanwhile, states built community college campuses and widened the mission of state teachers’ colleges by adding a bevy of programs in all academic fields. Between 1970 and 2016, enrollment in higher education more than doubled from 8.5 million to 20.5 million students. Now a third wave in education and training has arrived, argue economists, educators, and workforce-development officials. The level of preparation that worked in the first two waves—adding more time to education early in life—does not seem sufficient in the 21st-century economy. Instead the third wave is likely to be marked by continual training throughout a person’s lifetime—to keep current in a career, to learn how to complement rising levels of automation, and to gain skills for new work. 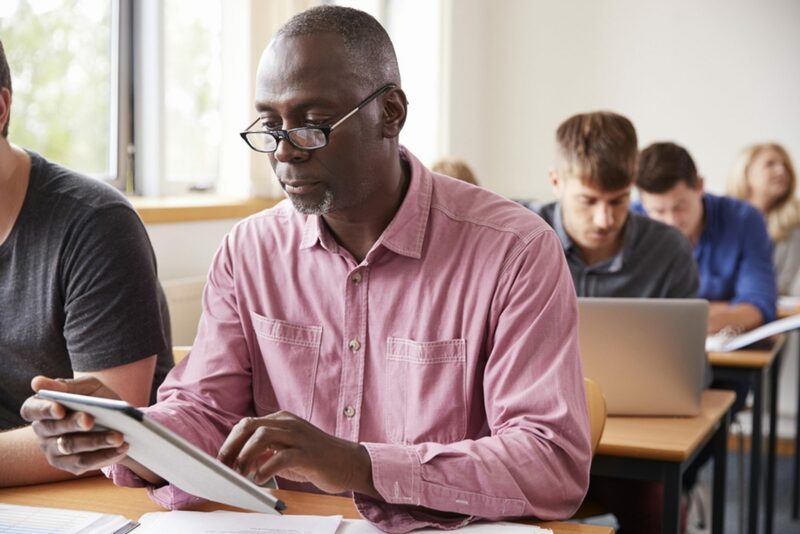 Workers will likely consume this lifelong learning in short spurts when they need it, rather than in lengthy blocks of time as they do now when it often takes months or years to complete certificates and degrees. One big worry, however, is that the arrival of lifelong education will only exacerbate the economic divide that already exists in the United States. Education levels in the U.S. are closely tied to income. Simply put: Rich kids are far more likely to graduate from college than are their poor and working-class peers. There’s no reason not to believe that trend won’t continue in this third wave of lifelong learning. It is likely to help workers who already have high levels of education get the training they need rather than assist underemployed or unemployed workers who need to upskill to keep a job or get a new one. Two simultaneous forces in the job market are driving this push toward lifelong learning. The first is automation and the widening divide between the lifetime earnings of high-school and college graduates. While experts predict that few occupations will ever be totally automated, most jobs are likely in the future to have many of their basic activities performed by a computer. In its report, McKinsey estimated that in about 60 percent of occupations, at least one-third of activities could be automated by 2030. “The shift could be on a scale not seen since the transition of the labor force out of agriculture in the early 1900s in the United States and Europe,” the report warned. The second is the emergence of the gig economy, which is reshaping the traditional employer-employee relationship as more contractors and freelancers fill roles once reserved for full-time workers making good salaries. While the term “the gig economy” conjures up images of popular apps for temporary work, such as Uber and Task Rabbit, the army of professional white-collar freelancers is larger than that encompassing the services we can request on our smartphones. In a 2016 study, two economists, Lawrence F. Katz and Alan B. Krueger, found that all net employment growth in the United States since 2005 appears to have come from what they termed “alternative work”—that is, contract and freelance work, which has ballooned by more than 50 percent over the last decade. What’s more, federal retraining programs deliver funds through local workforce boards, which operate one-stop centers where job seekers go for help largely to prepare for full-time work, not to become independent contractors or entrepreneurs. If more people are employed as freelancers in the future, workforce-development officials worry that it might be difficult for some workers to know when they need a new set of skills to remain employed. One role traditional employers have always played is in the professional development of their workers. On a yearly basis, usually through annual performance reviews, employers would advise employees about the skills needed to keep their job or to receive promotion. In many cases, employers would suggest training programs and pay for them. But freelancers get no such guidance nor help on finding or paying for continuing education. Policy officials maintain that the realities of the modern workplace demand that government-run job-training programs in the future play a different role. Rather than focus on routine skills that can be replaced by technology, job training needs to target key skills that complement technology, such as problem solving, teamwork, and communication. At the same time, training must occur more regularly and less episodically than it does now in order to keep pace with the increasing churn of jobs. Already colleges are responding to this need by expanding noncredit programs; such courses can be up and running more quickly than credit-based programs can, and they take much less time to complete than do full-fledged degrees and certificates. Experts agree that to adequately serve an increasingly diverse set of workers and industries, the current patchwork of federal training efforts needs reform. An important first step was taken in 2014 when Congress replaced the 1990s-era Workforce Investment Act with the Workforce Innovation and Opportunity Act. Among other things, the new law emphasized “career pathways,” which offer workers a sequence of educational opportunities and credentials that they can earn as they work in progressively more advanced jobs. For example, instead of training to become a nurse, workers could first pursue certificates as nursing aides. But further reforms are needed for the third wave of education and lifelong learning, so that training isn’t seen as something that happens only when there is a shock to the economy, such as a recession or a massive factory layoff. One idea that has been suggested by economists and workforce-training officials: “work sharing,” which allows employees to retrain while they’re still employed. Work sharing is a program in place in more than 25 states in which employers reduce their workers’ hours and pay and the states make up some of the lost wages. Right now, it’s typically used as an incentive in an economic slowdown to keep skilled workers employed, but it can also provide workers the flexibility to improve their skills while in a job. If training and education become a lifelong pursuit, the big question is how to pay for it. Many people enter the workforce already in debt from college. Student debt has doubled since 2009 to $1.3 trillion. Given these circumstances, few people have money for further training. In response, some states offer Lifelong Learning Accounts, a 401(k)-like plan that allows employers and employees to contribute to an account for retraining purposes. Michael Horn, a higher-education consultant who has written extensively on the future of training, recently suggested similar plans that he dubbed “renewable learning funds.” They would be paid for by an alternative form of financial aid called income-share agreements. Such agreements provide students money to cover college costs, and, in exchange, students agree to pay back a percentage of their future income rather than take on a fixed amount of debt. Faced with a skills gap, employers are increasingly working with community colleges to provide workers with both the academic education needed to succeed in today’s workforce and the specific hands-on skills to get a job in their companies. In the long race between education and increasing technology in the workforce, education has historically always won, according to Goldin, the Harvard economist. In other words, for much of the 20th century, simply having a college degree and, even better, an advanced degree, was seen as a key advantage in the job market. But it’s unclear whether that dynamic will remain true in a job market undergoing massive changes. A college degree will certainly remain a differentiator in the future, but not just any degree, argues Alssid, the vice president of workforce development at the Community College of Rhode Island. If training and education become a lifelong pursuit, the big question is how to pay for it. Such skills, often referred to as “soft skills,” are typically seen in liberal-arts graduates, but those individuals often lack the technical skills employers want. Alssid said a hybrid of liberal-arts and technical education is what is most needed in training programs to allow workers to better navigate the ambiguity of the future job market. That’s the goal of his school’s partnership with Infosys—to introduce liberal-arts students to technical fields that they might not have previously considered, while other programs will introduce the flexibility of the liberal arts to technical workers. More than a century has passed since the universal high-school movement took off in the United States and 50 years since the college-for-all movement began. Those first two waves of education helped the U.S. build the world’s most successful economy. Now it’s clear a third wave in the evolution of education is needed to compete in a new economy in which learning can never end.